I was 4. Sarah was 5. 3 ft 3 with blue eyes and blonde hair that stretched to her fingertips. Oh man, was she a looker. So talented, so smart. She baked goods with her own little oven and made the transition from velcro to laces within a week. What she saw in me I’ll never know. What did it feel like? Fisher Price perfection. It’s so hard to describe. Our love didn’t last forever, and Sarah may have left me with only orange lollipops in our settlement, but that kiss will last an eternity. My name is Pinky The Plinko Chip from The Price is Right. I used to dream about taking over the world, but reincarnation foiled those plans and reduced me to the size of a coffee coaster. The constant bang bang makes my head go boom boom. Oh the headaches! Those are the worst. If not the for the Advil I buy from the Grocery Game, I’d be through. This is me and my posse in action. I’ve never been so happy to leave someone’s hand. David was sweet but a little sweaty. I was the last chip to go. I thought about giving him another $10 000, but too much money can change a man for the worse. We’ve all seen those stories right? The lottery winners who’ve lost it all. But I think David will be okay. Here’s to David the happy human. The photo above is a placeholder picture. It just takes up space. Like nonsensical writing to fluff up some homework you’ve copied from your favourite friend. I know. I should have said best friend, but I absolutely adore alliteration. Although, puns are pretty perfect. I would go on a pun laced tear, but I don’t want to make you tear up. Hold on, that’s not a pun. You’re right, that’s a homograph. My favourite graph next to the bar graph. Or the pie graph. Mmmmmmm. Pie. Do you like pie? I am adamant in my adoration for an axcellent apple pie. Gimme some of granny’s apples, a crisp crust, and a soft scoop of vanilla ice cream. Who doesn’t love vanilla ice cream? I know it’s not pistachio, liquorice, or Dunkaroo Delight, but it’s still pretty good. Dunkaroos ice cream, there’s an idea. This is me. Matthew. White shirt, blue shorts, 6’2, and 171 pounds. 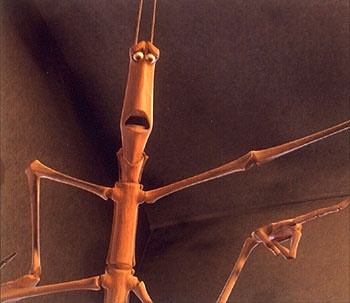 I’m basically the stick bug from A Bug’s Life, and I’m perfectly fine with that. I haven’t been alive for long (approximately 25 years), but life has been pretty crazy. Fun fact? I nearly became the youngest PA Announcer in NHL history. Yeah, I know. It’s kind of a crazy story. I was in Croatia for a wedding and I got an email from the Toronto Maple Leafs. I hadn’t even applied for the role. One plane ticket purchase and 5 days later I’m back home auditioning for a job I’ve dreamed of since the age of 16. I didn’t get the gig, but who knows what the future holds. Other than that- I’ve backpacked through Europe 4 times all by myself. I’ve basically been everywhere west of Croatia- flipping coins to determine destinations, crashing on couches, and even mingling with the odd C-List celebrity. Professionally, I’ve worked in radio, advertising, university recruitment and now technology… and now blogging I guess. Why am I writing? I used to script entire radio shows and although it sometimes got tiring, I really enjoyed it. I wanted to write again so here I am for my own amusement more than anything.